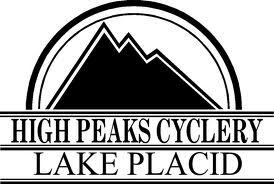 Priapism is a accutane tablets uk potentially harmful medical condition in which the..
Heart Lake Program Center, Adirondak Loj, Lake Placid, 10 AM to 8 PM. Join us for the 4th annual WINTERFEST: A family-friendly winter event at our Heart Lake Program Center in Lake Placid. ADK invites you, your friends and your family to join us in celebrating Winter Trails Day and all the winter season has to offer. See you there! ADK is able to offer Winterfest activities free of charge to the public thanks to the generosity of sponsors like you. Learn more about sponsorship opportunities or contact Sunday and 518-668-4447 ext. 42. Meet at High Peaks Information Center for Wright Guided Hike with Jack Coleman. Winterfest Quest: Self-guided Snowshoe Scavenger Hunt. The Adirondak Loj, was built in 1927, and has space for 38 guests in a combination of private rooms, family bunk rooms, and a co-ed loft. Delicious home-cooked meals, with homemade breads and soups, are served in our rustic dining room. The comfortable living room with its stone fireplace is perfect for recounting the day’s adventures or just relaxing with a book from our Adirondack library. The High Peaks Cyclery has two houses for rent in the village of Lake Placid. They are both a perfect place for individuals or groups to get ready, and relax after a great day at Winterfest. There are great views of the High Peaks mountains out the front window of the High Peaks House and the huge shared deck of both houses. Classic Nordic ski lodge with 6 private bunkrooms on 25k of groomed trails. 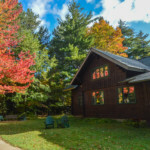 Connected to the Olympic Trail system and Jackrabbit Trail, the bunkhouse is 1 mile from Adirondack Loj Road making it a “hub” for outdoor enthusiasts. Hearty breakfast, common room, shared bathrooms. Volunteer at Winterfest and help spread the joy of wintertime. We are looking for volunteers to help out between 8 AM and 9 PM. Please register if you are interested in volunteering. In appreciation of your time and energy for volunteering, we provide you with a meal and complimentary gift packet the day of the event. For any questions about volunteering, contact Kayla White at 518-523-3480. If you have any questions about the event, contact Adirondak Loj at 518-523-3441.